It is this two-way conversation that brands are bungling by opening up communication channels (forums, Twitter, Facebook, etc.) viewed as bi-direction to Millennials, but executed as uni-directional. Most often this plays out in the form of a non-response: A customer reaches out along a communication channel setup by the company, but receives no response. No response. A cold shoulder. Another tweet the following month is similarly ignored. Feeling slighted, I’m starting to move my publishing off Medium and I no longer recommend the platform to others. 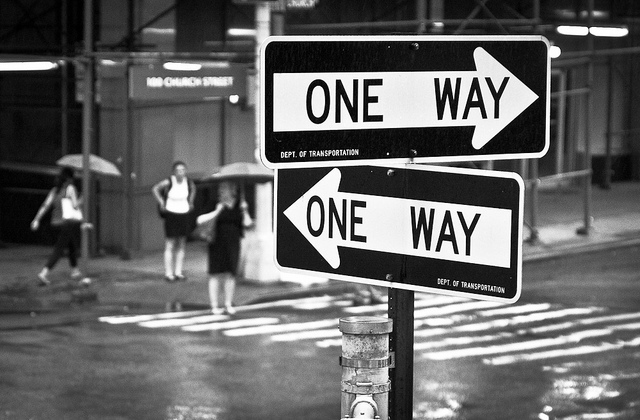 Medium’s mismanagement of the two-way conversation takes me from avid supporter to detractor. Here Banff handled this communication elegantly. I feel validated and appreciated by the brand. Even though I felt a little unsure when writing my inquiry, their response reassures all my doubts. I go back to simply raving about them. The non-response problem is not unique to social media. In this last example, I was about to switch from iOS Reminders to Wunderlist, but Wunderlist was missing one key feature I needed: Groups. Luckily, Wunderlist had a feature request page. This was great because it felt like I had a voice! However, the feature I wanted had over 7k up votes and was created almost three years ago with any acknowledgement of the request by the company over that time. Seeing this non-response, I lost all brand loyalty and trust in the service. I nearly didn’t use Wunderlist at all, because I was so frustrated that they were ignoring such a large number of users on its own communication platform. In the age of Snowden, Heartbleed and hacks, trust is a big deal with Millennials, especially for internet services. For me at least, trust is not recovered easily. Even month later, when I received Wunderlist messaging that were working on that Groups feature it did not quell my distrust because again this mechanism was used as a one-way channel. Don’t open a communication mechanism if you are unable to maintain it. Most brands kill for user feedback so acknowledge your users when they reach out to you. Correctly handled communication fosters a dedicated and loyal user base who will consistently speak highly of your brand.